The Wrestle Talk Podcast with Joe and Rene is proud to announce that on Wednesday, October 17th, we will have two special guests on the program. At 7:30 P.M., the Wrestle Talk Podcast is proud to welcome Tom Simon back to the program. Originally from Collinsville, Illinois, Tom Simon has had a long career in professional sports. Tom Simon began his professional sports career as an official for many sports in 1970. Tom Simon was also a trackside announcer for the Midwest Thunderbirds during the 1975-1976 season. 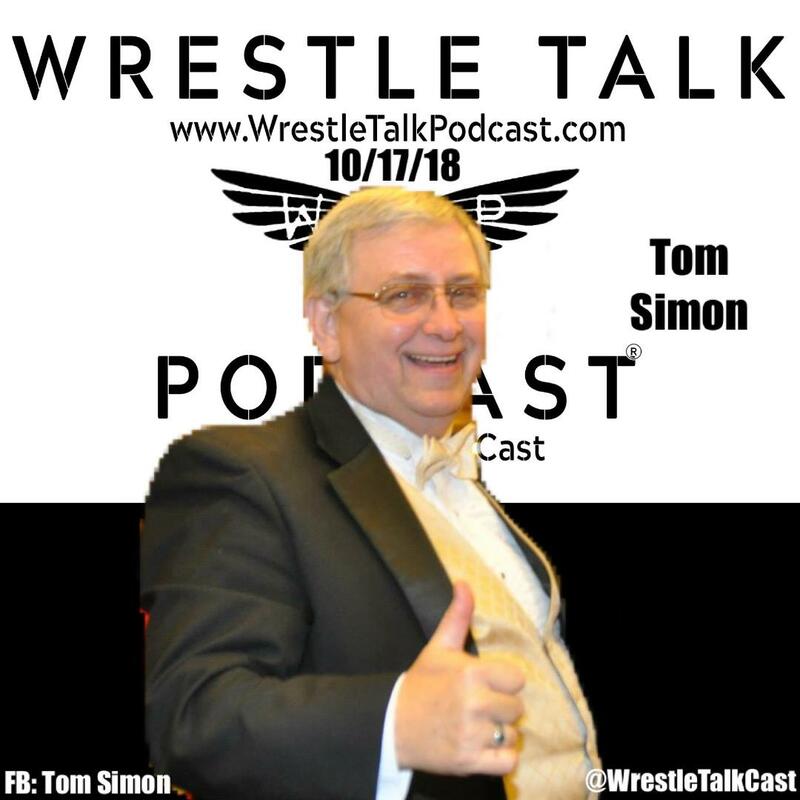 Tom Simon used this knowledge, as well as an over thirty year career as a musician, to help him become the professional wrestling personality that he is today. Tom Simon began his professional wrestling career with the Mississippi Valley Wrestling Alliance in 1997. After several years of refereeing in professional wrestling promotions throughout Missouri and Illinois, Tom Simon joined Traditional Championship Wrestling. From 2006-2013, Tom Simon took his knowledge and applied it as a referee, ring announcer, television producer, and director of live events for the internationally syndicated Traditional Championship Wrestling. While in Traditional Championship Wrestling in 2010, Tom Simon was given the opportunity to work with the Cauliflower Alley Club. Since that time, Tom Simon has become the senior ring announcer for Cauliflower Alley Club reunion events. In 2013, Tom Simon traveled to USA Championship Wrestling, where he has been a referee, ring announcer, producer, and director of live events over the last four years. Presently, Tom Simon is the promoter for USA Championship Wrestling. 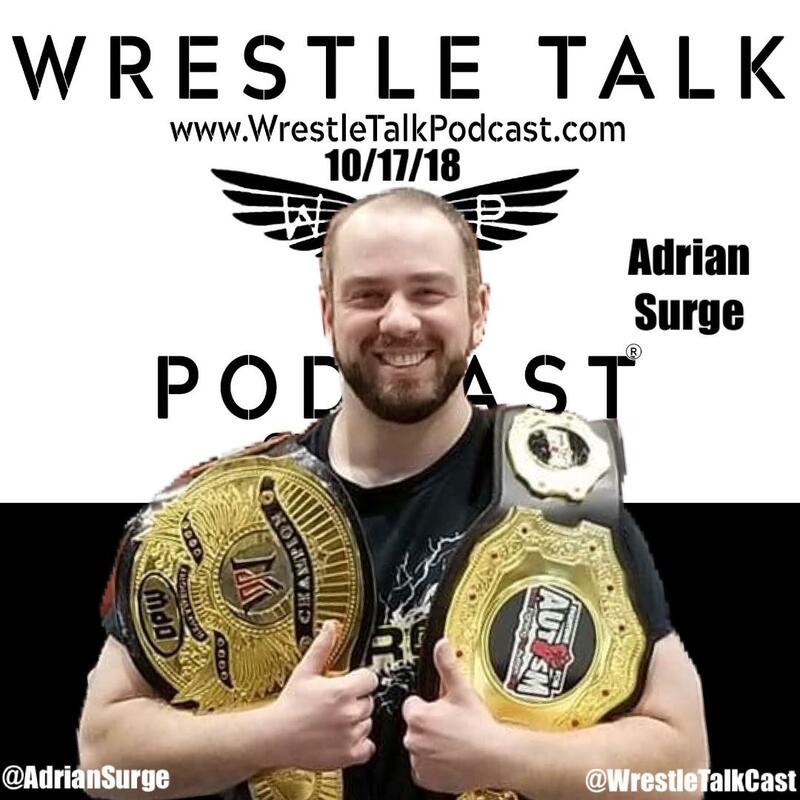 At 8:30 P.M. the Wrestle Talk Podcast is proud to have the brand-new Dynamo Pro Wrestling heavyweight champion, “Lights Out” Adrian Surge on the program. After training under the guidance of “The Wind of Destruction” Makaze, Adrian Surge made his professional wrestling debut in June 2014. Since his debut, Adrian Surge has competed in many professional wrestling promotions in the mid-western United States. The winner of the 2017 Dynamo Pro Wrestling “RIOT on the River” tournament, Adrian Surge has had a long-standing feud with throughout Missouri and Illinois with Makaze. Makaze has done many things over the past few months to try and derail Adrian Surge’s momentum in Dynamo Pro Wrestling, including costing Surge the opportunity to defend the “RIOT on the River” championship in the 2018 Dynamo Pro Wrestling “RIOT on the River” tournament, stealing his trademark entrance, and having the Dynamo Pro Wrestling tag team champions “The Agents of Chaos” interject themselves in their first Dynamo Pro Wrestling championship match. However, on Friday, September 21st, at Dynamo Pro Wrestling’s “Hell Bent on Leather” event, history was made as “Lights Out” Adrian Surge defeated Makaze in a lumberjack strap match to win the Dynamo Pro Wrestling heavyweight championship. Please tune in to the Wrestle Talk Podcast as we continue to bring you the best in the world of professional wrestling. This entry was posted on October 17, 2018 at 4:04 pm	and is filed under Uncategorized. You can follow any responses to this entry through the RSS 2.0 feed. You can leave a response, or trackback from your own site.